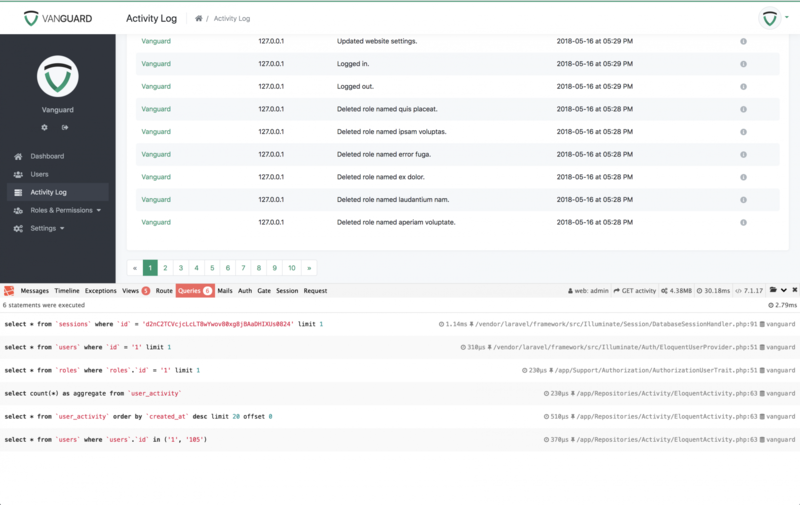 While you are developing new Vanguard features, or you are customizing the existing features, you should definitely enable development mode so you can clearly see all errors on the screen, without constantly having to check your log file. Vanguard comes with awesome Laravel Debugbar package that is automatically enabled for you if you enable development mode like it is described above. The package itself is very helpful during the development process, and you can use it to see which queries are executed during page load, to check the session data etc.